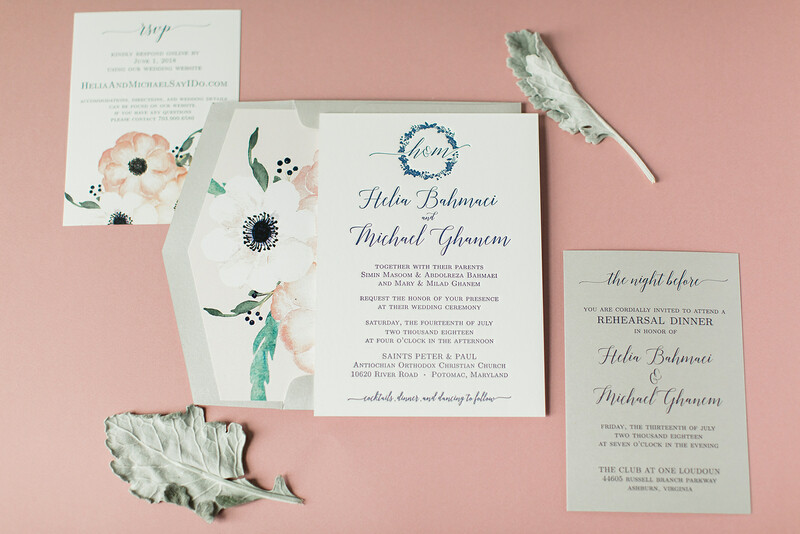 My collaboration with Helia & Mike began with them falling in love with the idea of a bold floral motif. 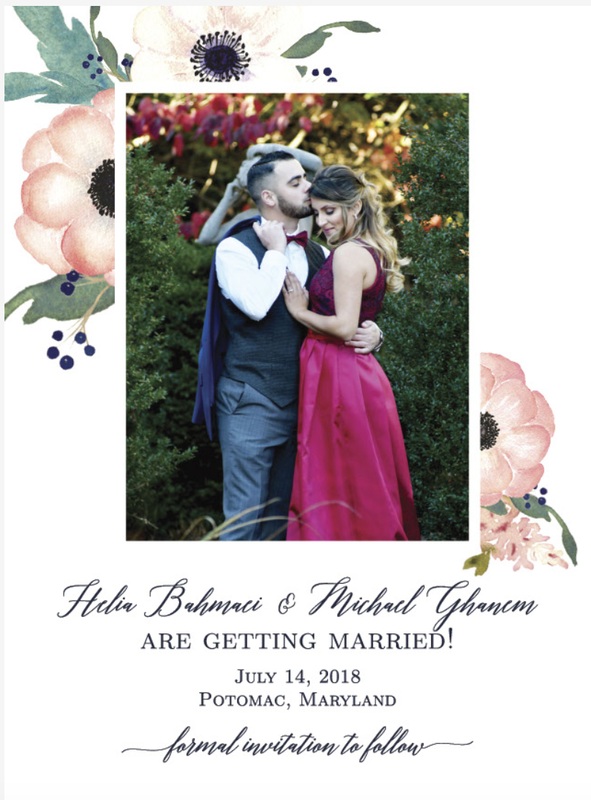 We didn’t start with a plan for where to use it, but what fun we had deciding and designing this custom floral wedding suite! 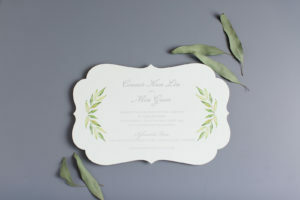 For their save the dates, we framed their photo with anemones and greenery. 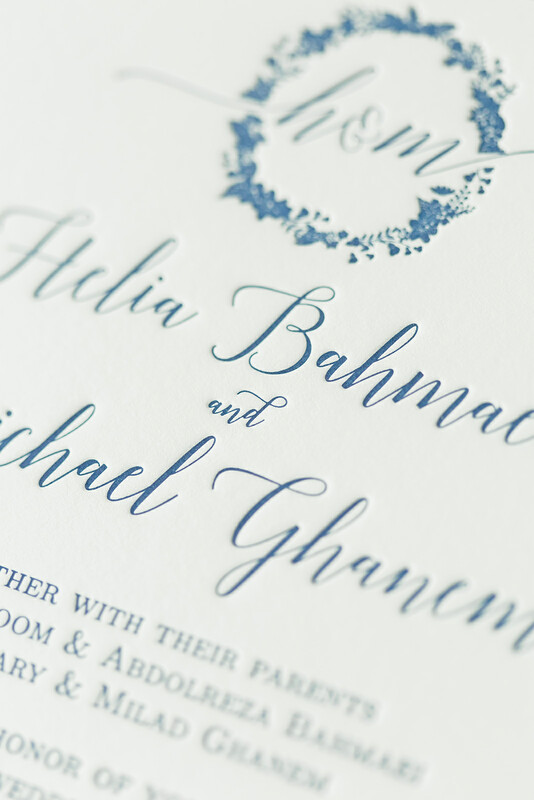 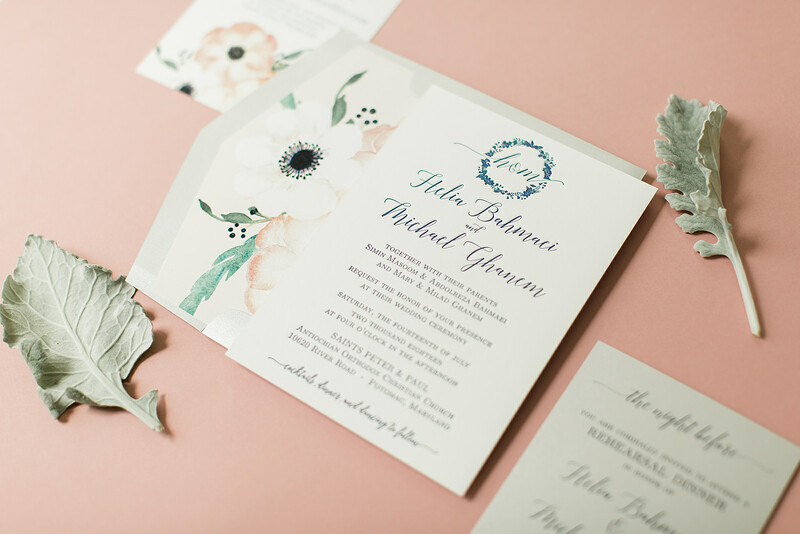 When it was time to start work on their extra thick letterpress invitations, Helia selected a pretty floral wreath that made a great frame around their calligraphy-style monogram. 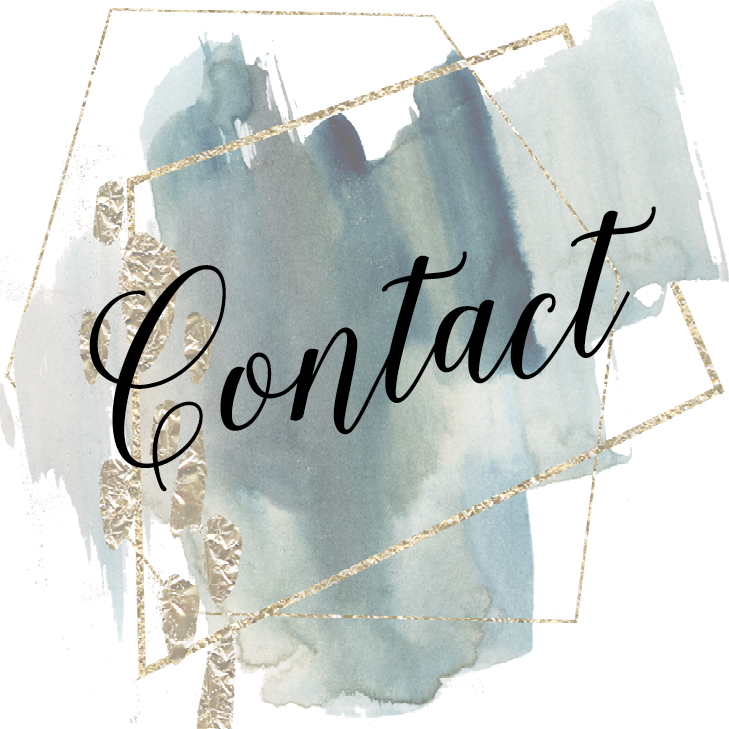 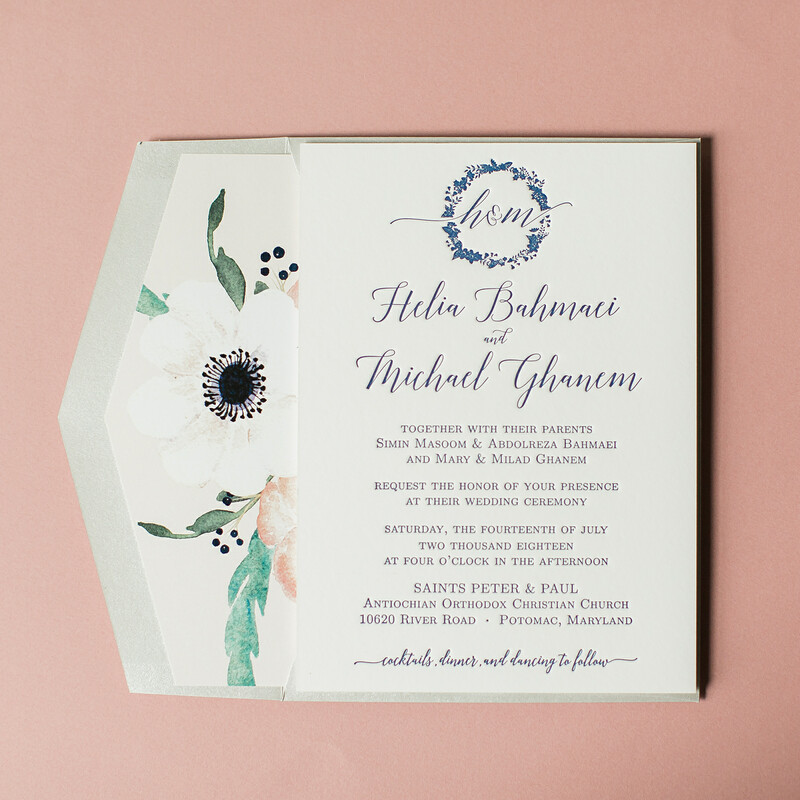 The floral artwork became a focal point as the envelope liner and as an accent on the response card. 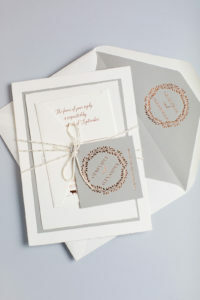 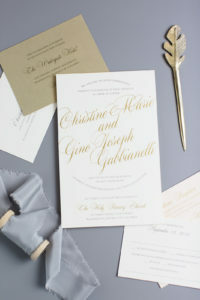 We enhanced the suite by selecting a beautiful silver paper for the envelope and one insert. 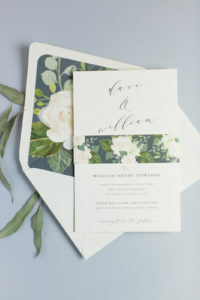 We later carried the theme through the wedding day with stunning ceremony programs and welcome tags for their hotel guests.